Todd Chrisley’s Net Worth in 2018 Is Estimated at ~$5.0 Million! The Chrisleys became the poster family of the ostentatiously wealthy. But not many know that the Chrisley Knows Best patriarch, Todd Chrisley, came from a humble background to build his lavish lifestyle. However, Todd’s had a few setbacks along the way that seriously impacted his wealth. Todd Chrisley’s net worth in 2018 is now estimated at ~$5.0 million, thanks to his overspending. Where did all his riches go? You’ll be shocked to learn the answer. Todd Chrisley was born in Georgia and grew up experiencing a simpler, small-town life in Westminster, South Carolina. Born in 1969, he celebrated his 49th birthday on April 6. Initially, his first wife, Teresa Terry, along with their two kids, moved around a lot because of his property business. But making rundown homes livable meant that Todd didn’t have much money left for his wife and kids. After their divorce, Todd married Julie. They have been together for over two decades. Happy birthday to the love of my life @juliechrisley , I am forever blessed that God brought you to me , you changed my life and continue to do so each day , I stand in awe of who you are and the kind of woman you represent , My heart belongs to you always . Through this life and the next , we will always be holding hands ..
Todd and Julie moved the family to Atlanta where his business is based. There, he founded Chrisley Asset Management, which has been struggling in recent years. Even as his business was failing, the real estate mogul engineered a reality show on the USA Network. Along with his wife, five children, and grandkids, he stars on the popular show, Chrisley Knows Best, which is due to return with season 6 in May. Before reality TV fame came knocking at the Chrisleys’ door, Todd was earning big bucks in real estate asset management. Chrisley Asset Management is now defunct, but it was a major real estate-owned management company at one point. CAM managed real estate properties for financial institutions. It would also recover non-performing commercial and residential assets like distressed or foreclosed properties, renovate them, and sell them for a profit. Their business grew for as long as the housing market was booming. It was headquartered in Atlanta and operated in several other states. CAM was reportedly an offshoot of Executive Asset Management LLC, one of Todd’s older, shortlived ventures. Todd Chrisley was on the brink of losing his fortune until he bagged a TV show on the USA Network. It was reportedly his longtime dream to be on TV and was ecstatic when Chrisley Knows Best was picked up. The show began airing in 2014 and stars Todd, Julie, his children, two grandchildren, and Todd’s mother, Faye. Todd’s unconventional wisdom and his strict parenting soon made him famous. The Chrisleys are also known for their lavish lifestyle on the show. Evidently, the brood didn’t have to scale back on their spending after bankruptcy. Todd once claimed that his family spends a whopping $300,000 just on clothes! Even though they let cameras record their luxurious lives, Todd Chrisley keeps a tight lid on the reality of his financial status. Nonetheless, his 2012 bankruptcy filing is well known. The extravagant clan’s riches took a hit when the real estate market crashed in 2008. According to Todd’s attorney, a real estate development loan he guaranteed fell through setting him back $30.0 million. CAM first filed for corporate bankruptcy in 2013. 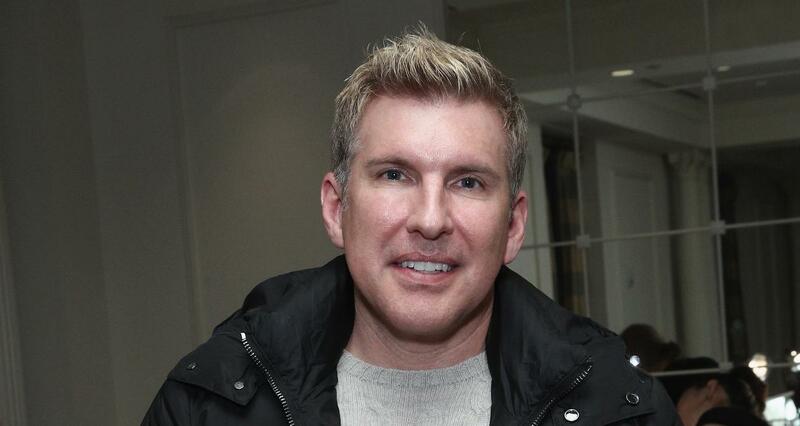 After losing a major contract, Todd Chrisley filed for Chapter 7 bankruptcy. He claims in the documents that he only had $55.00 in the bank, $100.00 in cash, $4.2 million in assets, and almost $49.4 million in debt. In addition to mortgages, he had a delinquent IRS bill for $595,227.98. Todd was on the receiving end of several lawsuits, and CAM is all but operational. The domain for the company’s website is now up for sale. But their financial troubles didn’t appear to put a dent in the family’s unrestrained spending. It was speculated that he stashed hidden assets in his wife’s name and wasn’t as broke as he claimed. However, Chrisley’s camp claims that he didn’t hide anything. The family was reportedly funded by Julie Chrisley’s personal fortune. Todd Chrisley claims that he settled his debts. However, reports in January 2017 claimed that he still owes around $70,000. A trustee who was reportedly suspicious of his over-the-top expenses demanded that Todd be found in contempt of court for non-payment. Even with his business non-operational, Todd appears to have a steady income. Given he’s embroiled in legal dramas, most of his financial information is not public. Nonetheless, his business savvy shows with his diverse ventures. Besides Chrisley Knows Best, Todd also hosts a spin-off talk show, According to Chrisley. He signed a record deal with BMI in 2016 and released his first LP, A Chrisley Christmas, the same year. No word on what his future music plans are, though. The entrepreneur was reportedly close to inking a $75.0 million production deal. Whether or not he signed one is unknown. But if he did, Todd Chrisley is guaranteed a multi-year deal for several shows. He has hosted events with one or two members of his family. And, he even interviewed celebs on the red carpet for E! News. In fact, Todd’s so popular that fans want him to host Coachella next year! Todd and his family have long been associated with the Miss Universe Organization. His daughter, Savannah, competed in pageants and was crowned Miss Tennessee. A recent Instagram post reveals that Todd, Julie, and Savannah are directors of the Miss Universe Organization. He acquired the Miss Florida USA franchise and hosted the Miss Florida USA and Miss Florida Teen USA pageants. Like any other reality star, Todd has his own share of social media endorsements. The perfectionist patriarch has endorsed the teeth-whitening products from Smile Sciences, health drinks from 310 Nutrition, Sugar Bear Hair vitamins, and products from Teami Blends. After the failure of CAM, Todd has continued to expand his business interests. Among his latest ventures is a department store in Atlanta. If you’ve watched all five seasons of Chrisley Knows Best, you know that Todd and Co. live the high life. Even as they struggled with bankruptcy, the Chrisleys lived in mega mansions and wear big name brands. The Chrisleys’ palatial 30,000-square-foot home in Atlanta was worth $2.4 million. However, they had to reportedly let go of their mansion during the bankruptcy proceedings and move to Nashville. The house, which was featured on the show, had a $12.0 million mortgage. The price of a South Carolina lakefront vacation home went from $1.4 million to $1.688 million when banks were foreclosing on his properties. Todd only retained one property, which was a 1,750-square-foot condo worth $300,000. Todd Chrisley’s talk show was reportedly canceled. However, the entire Chrisley brood is returning with Chrisley Knows Best season 6 on May 8.